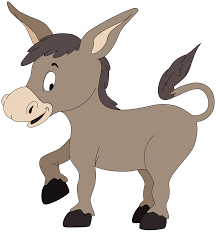 Palm Sunday, 25th March, St Sampson’s Church, South Hill, are planning an informal service, with a real donkey, A good natured miniature chap called Corduroy, who is a local resident. it will take place at Golberdon parish Hall at 10am We will have a short walk of witness and singing, led by the donkey, starting from outside Green Meadow, (on the road towards South Hill) to the hall, join us there or along the route, or at the hall, bring a branch to wave. This will be followed by a short friendly service, biscuit making for all ages, tea coffee and hot cross buns. Contact judithayers@yahoo.co.uk for more information. 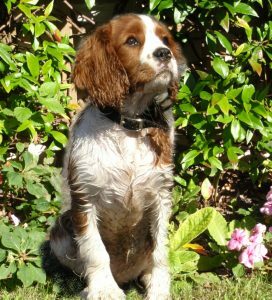 This entry was posted in Animals, Callington, Children, Church, Events, General Interest, In South Hill Parish, Uncategorized on March 8, 2018 by Church Admin. This entry was posted in Uncategorized on September 7, 2017 by Church Admin. This entry was posted in Children, Events, Food, General Interest on September 7, 2017 by Church Admin. This will be a short informal service followed by coffee, tea, juice and the best cake ever. Our lives are enriched by our animals. They bring us many blessings and they play a big part in our lives, giving us joy, companionship, livelihood and sustenance. You are invited to bring your well behaved: dog, cat, rabbit, parrot, stick insect, sheep, horse or chicken, whatever, to give thanks for the part they play in your life. 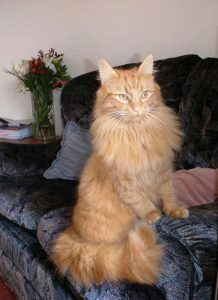 Bring a photo of your pet past or present. This entry was posted in Animals, Children, Church, Events, In South Hill Parish, Uncategorized on September 7, 2017 by Church Admin. 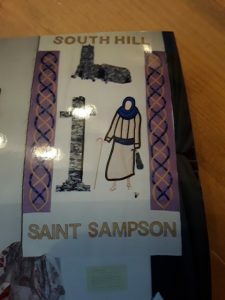 The piece makers of South Hill have kindly given St Sampson’s Church a wonderful quilt showing St Sampson. This will be gratefully received during the service on Sunday 23rd July at 11.15. and will be hung for all to see. 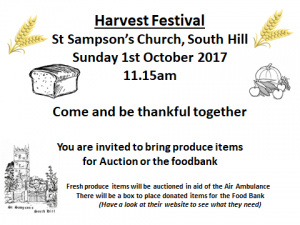 Come and learn a bit more about who St Sampson was and what relevance he has today. This entry was posted in Church, Events, History, In South Hill Parish, People on July 13, 2017 by Church Admin. St Sampson’s Church are contacting architects to draw up plans for our renovations and improvements to the building and we are also looking at many funding options. Did you know that whenever you buy anything online – from your weekly shop to your annual holiday – you could be collecting free donations for St Sampson’s Church, South Hill? 1. Head to https://www.easyfundraising.org.uk/causes/stsampsonschurch/ and join for free. 3. After you’ve checked out, that retailer will make a donation to your good cause for no extra cost whatsoever. 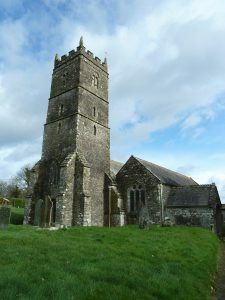 There are no catches or hidden charges and St Sampson’s Church, South Hill, Cornwall will be really grateful for your donations to help with the ongoing upkeep of this beautiful church. This entry was posted in Callington, Church, Clubs/Groups, Culture, Fundraising, General Interest, In South Hill Parish, People on July 6, 2017 by Church Admin. Thank you to all who have bought or donated plants . 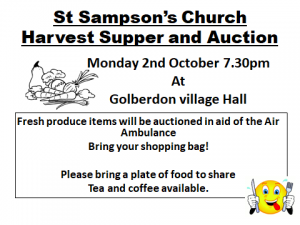 The monies raised will go to Callington food bank. More plants now required . If you have any spare plants please bring them to St Sampson’s Church and leave them outside the entrance. Buy something new for yourself and leave donations in the jar. This entry was posted in Church, Fundraising, Gardening, In South Hill Parish on June 25, 2017 by Church Admin. 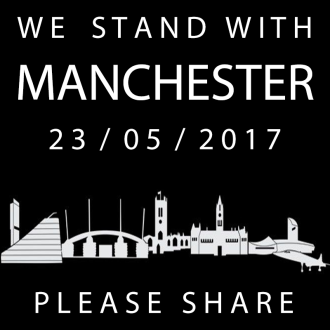 We are all shocked about the bombing in Manchester and although it may seem far away from our rural corner of Cornwall, some of us may have friends or relatives who are affected, or feel a deep need to respond in some way to the horror. St Sampson’s church is open and there is a prayer corner where you can spend some quiet time remembering the victims and their families and offering thanks for those involved in helping in the aftermath. The Bishop of Manchester states “in our grief we call on God to strengthen us to resist evil”. For the next week there is an international prayer movement “Thy Kingdom Come”, which encourages people to pray for those searching for faith. Sometimes it is a shocking event which makes us question all sorts of things. The Church is open for you. This entry was posted in Church, General Interest, In South Hill Parish on May 30, 2017 by Church Admin.